Claude Frédéric Bastiat (June 30, 1801 - December 24, 1850) was a French economist, legislator, and writer who championed private property, free markets, and limited government. His well known "Candlemakers' petition" cleverly highlights basic flaws in protectionism and has been used by economists since in defense of free trade. The main underlying theme of Bastiat's writings was that the free market was inherently a source of "economic harmony" among individuals, as long as government was restricted to the function of protecting the lives, liberties, and property of citizens from theft or aggression. Bastiat is also seen as a forerunner of the Austrian School of economics in his works showing the significance of the subjective, human factors in economics. While Bastiat regarded human beings as naturally driven by self-interest, he distinguished this from selfishness, and rather saw human economic exchanges as naturally tending towards that which benefits everyone. Government intervention, thus, Bastiat regarded as likely to disturb the natural harmony in society unless it was limited to protecting its citizens from those who would deliberately do them harm. Claude Frédéric Bastiat was born in Bayonne, Aquitaine, France, on June 30, 1801. When he was nine years old, he was orphaned and became a ward of his father's parents. At age seventeen, he left school to become more involved with his family's business. Coudroy and Bastiat, worked their way through a tremendous number of books on philosophy, history, politics, religion, travel, poetry, political economy, biography, and so on…. It was in these conversations that the ideas of Bastiat developed and his thoughts matured (Russell 1969, p. 22-23). Bastiat himself made no original contribution to economics, if readers use "contribution" the way most economists use it. That is, one cannot associate one law, theorem, or path-breaking empirical study with his name. This would have been virtually impossible, since his public career as an economist lasted only five years. Yet, even in this very short time, he made a big contribution: His fresh and witty expressions of economic truths made them so understandable and compelling that the truths became hard to ignore, and—because of his stress on the role of consumer demand in initiating economic progress—Bastiat has been described by many great economists, among them F.A. Hayek, as a forerunner of the Austrian School. At the end, Bastiat contracted tuberculosis, probably during his tours throughout France to promote libertarian ideas. That illness eventually prevented him from making further speeches (particularly at the legislative assembly to which he was elected in 1848 and 1849) and took his life. Bastiat died in Rome on December 24, 1850. 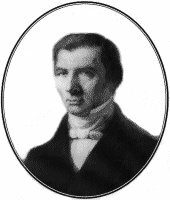 Bastiat emphasized the plan-coordination function of the free market, a major theme of the Austrian School, because his thinking was influenced by some of Adam Smith's writings and by the great French free-market economists Jean-Baptiste Say, Francois Quesnay, Destutt de Tracy, Charles Comte, Richard Cantillon (who was born in Ireland and emigrated to France), and Anne-Robert-Jacques Turgot. These French economists were among the precursors to the modern Austrian School. They first developed such concepts as the market as a dynamic, rivalrous process, the free-market evolution of money, subjective value theory, the laws of diminishing marginal utility and marginal returns, the marginal productivity theory of resource pricing, and the futility of price controls in particular and of the government's economic interventionism in general. We cannot doubt that self-interest is the mainspring of human nature. It must be clearly understood that this word is used here to designate a universal, incontestable fact, resulting from the nature of man, and not an adverse judgment, as would be the word selfishness (1850). One of Bastiat's most important contributions to the field of economics was his admonition to the effect that good economic decisions can only be made by taking into account the "full picture." That is, economic truths should be arrived at by observing not only the immediate consequences—that is, benefits or liabilities—of an economic decision, but also by examining the long-term consequences. Additionally, one must examine the decision's effect not only on a single group of people (say candlemakers) or a single industry (say candles), but on all people and all industries in the society as a whole. Nothing illustrates this better than the celebrated title of the first essay in the present volume. "What is seen and what is not seen in political economy." No one has ever stated more clearly in a single phrase the central difficulty of a rational economic policy and, I would like to add, the decisive argument for economic freedom. It is the idea compressed into these few words that made me use the word "genius" in the opening sentence. It is indeed a text around which one might expound a whole system of libertarian economic policy (F.A. Hayek 1848 in the introduction to Bastiat’s Selected Essays on Political Economy). Bastiat's first published article appeared in April of 1834. It was a response to a petition by the merchants of Bordeaux, Le Havre, and Lyons to eliminate tariffs on agricultural products but to maintain them on manufactured goods. Bastiat praised the merchants for their position on agricultural products, but excoriated them for their hypocrisy in wanting protectionism for themselves. "You demand privilege for a few," he wrote, whereas "I demand liberty for all" (Russell 1969, p. 24). He then explained why all tariffs should be abolished completely. Bastiat continued to hone his arguments in favor of economic freedom by writing a second essay in opposition to all domestic taxes on wine, entitled "The Tax and the Vine," and a third essay opposing all taxes on land and all forms of trade restrictions. Then, in the summer of 1844, Bastiat sent an unsolicited manuscript on the effects of French and English tariffs to the most prestigious economics journal in France, the Journal des Economistes. The editors published the article, "The Influence of English and French Tariffs," in the October 1844 issue, and it unquestionably became the most persuasive argument for free trade in particular, and for economic freedom in general, that had ever appeared in France, if not all of Europe. While Bastiat was shaping economic opinion in France, Karl Marx was writing Das Kapital, and the socialist notion of "class conflict" that the economic gains of capitalists necessarily came at the expense of workers was gaining in popularity. Bastiat's second major work, Economic Harmonies, by way of contrast, explained that the interests of humankind are essentially harmonious if they can be cultivated in a free society where government confines its responsibilities to suppressing thieves, murderers, and special-interest groups who seek to use the state as a means of plundering their fellow citizens. Bastiat contributed to Austrian capital theory by masterfully explaining how the accumulation of capital results in the enrichment of the workers by raising labor's marginal productivity and, consequently, its remuneration. Capital accumulation, wrote Bastiat, would also result in cheaper and better quality consumer goods, which would also raise real wages. He also explained how the interest on capital declines as it becomes more plentiful. Thus, in his view, the interests of capitalists and labor are indeed harmonious, and government interventions into capital markets will impoverish the workers as well as the owners of capital. Bastiat also explained why in a free market no one can accumulate capital unless he uses it in a way that benefits others, namely the consumers. In reality, wrote Bastiat, capital is always used to satisfy the desires of people who do not own it. In sharp contrast to most of his predecessors, Bastiat believed that "it is necessary to view economics from the viewpoint of the consumer. … All economic phenomena … must be judged by the advantages and disadvantages they bring to the consumer" (Bastiat 1848, Selected Essays, p. 1-50). Bastiat's greatest contribution to subjective value theory was how he rigorously applied the theory in his essay, "What is Seen and What is Not Seen" (Bastiat 1848, p. 1-50). In that essay, Bastiat, by relentlessly focusing on the hidden opportunity costs of governmental resource allocation, destroyed the notion that government spending can create jobs and wealth. His first book, Economic Sophisms (Bastiat 1845), is to this day still arguably the best literary defense of free trade available. In this work, Bastiat masterfully created the most complete case for free trade ever constructed up to that time, which applied such economic concepts as the mutual advantage of voluntary trade, the law of comparative advantage, the benefits of competition to the producer as well as the consumer, and the historical link between trade barriers and war. Contained within Economic Sophisms is the famous satirical parable known as the "Candlemakers' petition" which presents itself as a demand from the candlemakers' guild to the French government. In this "petition," the candlemakers cite several economic "advantages" that might be had from blocking out the Sun, by increasing consumption of products: tallow, leading to the increased production of meat, wool, hides, and so on; vegetable oil, leading to the increased production of poppies, olives, and rapeseed; resinous trees, leading to more bees, hence crop pollination; whale oil, leading to a larger merchant navy that would boost France's prestige and standing. Bastiat's argument cleverly highlights basic flaws in protectionism by demonstrating its absurdity through logical extremes. …an abundance of goods and services at lower prices; more jobs for more people at higher real wages; more profits for manufacturers; a higher level of living for farmers; more income to the state in the form of taxes at the customary or lower levels; the most productive use of capital, labor, and natural resources; the end of the "class struggle … was based primarily on such economic injustices as tariffs, monopolies, and other legal distortions of the market; the end of the "suicidal policy" of colonialism; the abolition of war as a national policy; and the best possible education, housing, and medical care for all the people (Russell 1969, p. 42). You are on the right track. You reject abstract theories and have little regard for abundance and low prices. You concern yourselves mainly with the fate of the producer. You wish to free him from foreign competition, that is, to reserve the domestic market for domestic industry (Bastiat 1845). We come to offer you a wonderful opportunity. …we are suffering from the ruinous competition of a rival who apparently works under conditions so far superior to our own for the production of light that he is flooding the domestic market with it at an incredibly low price; for the moment he appears, our sales cease, all the consumers turn to him, and a branch of French industry whose ramifications are innumerable is all at once reduced to complete stagnation. This rival … is none other than the sun (Ibid., 1845). For after all, Bastiat’s petitioners noted, how can the makers of candles and lanterns compete with a light source that is totally free? As a response to this publication, in 1846, Bastiat was elected a corresponding member of the French Academy of Science, and his work was immediately translated into English, Spanish, Italian, and German. Free-trade associations soon began to sprout up in Belgium, Italy, Sweden, Prussia, and Germany, and were all based on Bastiat's French Free Trade Association. The subject of political economy is MAN … [who is] endowed with the ability to compare, judge, choose, and act…. This faculty … to work for each other, to transmit their efforts and to exchange their services through time and space … is precisely what constitutes Economic Science (Bastiat, 1850, p. 35). the Theory of Exchange where the desires of market participants cannot be weighed or measured…. Exchange is necessary in order to determine value (Bastiat, 1850, p. 36). Thus, to Bastiat, as with contemporary Austrians, value is subjective, and the only way of knowing how people value things is through their demonstrated preferences as revealed in market exchanges. Voluntary exchange, therefore, is necessarily mutually advantageous. This was an important theoretical innovation in the history of economic theory, for many of the British economists had succumbed to the "physical fallacy"—the misguided notion that value is determined by the production of physical objects alone. The understanding that value is created by voluntary exchange, Murray Rothbard pointed out, "led Bastiat and the French school to stress the ways in which the free market leads to a smooth and harmonious organization of the economy" (Rothbard 1995, p. 446). Bastiat is perhaps best known for his work in the field of political economy—the study of the interaction between the economy and the state—as opposed to pure economic theory. He sought to understand how the state operated and by what incentives it was driven, and he did so as well as anyone ever has. Government was necessary, according to Bastiat, but only if restricted to its "essential" functions. He believed that "no society can exist unless the laws are respected to a certain degree, but at the same time that could only occur if the laws themselves were respectable” (Russell 1969, p. 5). The moral justification for a law, moreover, can never be based on a majority vote, because "since no individual has the right to enslave another individual, then no group of individuals can possibly have such a right" (Russell 1969, p. 6). All income redistribution through majoritarian democracy is therefore "legal plunder" and is, by definition, immoral. Bastiat understood that free-market competition was a "dynamic discovery procedure," in which individuals strove to coordinate their plans to achieve their economic goals. All forms of government intervention interrupt and distort that process because once a law or regulation is issued, "the people no longer need to discuss, to compare, to plan ahead; the law does all this for them. Intelligence becomes a useless prop for the people; they cease to be men; they lose their personality, their liberty, their property" (Russell 1969, p. 11). If the natural tendencies of mankind are so bad that it is not safe to permit people to be free, how is it that the tendencies of these organizers are always good? Do not the legislators and their appointed agents also belong to the human race? Or do they believe that they themselves are made of a finer clay than the rest of mankind? …Life, faculties, production—in other words, individuality, liberty, property—this is man. And in spite of the cunning of artful political leaders, these three gifts from God precede all human legislation, and are superior to it. Life, liberty, and property do not exist because men have made laws. On the contrary, it was the fact that life, liberty, and property existed beforehand that caused men to make laws in the first place (Bastiat, 1850). Bastiat's writing constitutes an intellectual bridge between the ideas of the pre-Austrian economists, such as Say, Cantillon, Turgot, and Quesnay, and the Austrian tradition of Carl Menger and his students. He was also a model of scholarship for those Austrians who believed that general economic education, especially the kind of economic education that shatters the myriad myths and superstitions created by the state and its intellectual apologists, is an essential function (if not duty) of the economist. Ludwig von Mises was a superb follower in this regard, as were Henry Hazlitt and Murray Rothbard, among others. …devoted themselves to the study of the problems of economics … [and in] lecturing and writing books they were eager to communicate to their fellow citizens the results of their thinking. They tried to influence public opinion in order to make sound policies prevail (von Mises 1963, p.869). My greatest debt, with respect to the kind of expository framework on which the present argument is hung, is Frederic Bastiat's essay, "What is Seen and What is Not Seen." The present work may, in fact, be regarded as a modernization, extension, and generalization of the approach found in Bastiat (Hazlitt, 1946, p. 1). To this day, Bastiat's work is not appreciated as much as it should be because, as Murray Rothbard explained, today's intemperate critics of economic freedom "find it difficult to believe that anyone who is ardently and consistently in favor of laissez-faire could possibly be an important scholar and economic theorist" (Rothbard 1995, p. 449). For Bastiat, indeed, believed in market forces as capable of maintaining a healthy economy. To Bastiat, governmental coercion was only legitimate if it served "to guarantee security of person, liberty, and property rights, to cause justice to reign over all" (Bastiat 1995, p. 52). Therefore, it is, perhaps, not surprising that even some contemporary Austrian economists seem to believe that the act of communicating economic ideas especially economic policy ideas to the general public is somehow unworthy of a practitioner of "economic science." For that is exactly the model of scholarship that Mises himself adopted, which was carried forward most aggressively and brilliantly by Murray Rothbard, all in the tradition of the great French Austrian economist, Frederic Bastiat. Bastiat, F.  1996. "Economic Sophisms." In Foundation for Economic Education. New York: Irvington-on-Hudson. Bastiat, F.  1995. "Selected Essays on Political Economy." In Foundation for Economic Education. New York: Irvington-on-Hudson. Bastiat F.  1996. "Capital and Interest." In Foundation for Economic Education. New York: Irvington-on-Hudson. Bastiat F.  1996. "The Law" in Foundation for Economic Education. New York: Irvington-on-Hudson. Bastiat, F.  1996. "Economic Harmonie" in Foundation for Economic Education. New York: Irvington-on-Hudson. Hazlitt, H. 1946. "Economics in One Lesson." In Harper and Brothers. New York. Mises, L. 1963. Human Action: A Treatise on Economics. Chicago: Henry Regnery. Rothbard, M. 1995. "Classical Economics. Vol. 2. An Austrian Perspective on the History of Economic Thought." In Edward Elgar. Cheltenham, U.K.
Russell, D. 1969. "Frédérick Bastiat: Ideas and Influence." In Foundation for Economic Education. New York: Irvington-on-Hudson. Thornton, Mark. 2002. "Frederic Bastiat's Views on the Nature of Money." In The Quarterly Journal of Austrian Economics. 5, No. 3: 81–86. Retrieved October 18, 2007. Bastiat's Legacy in Economics by Jorg Guido Hulsmann. Candlemakers Petition, as translated into English. Mondo Politico Library's presentation of Frederic Bastiat's book, The Law (Dean Russell translation; full text; formatted for easy on-screen reading). Selection of C. F. Bastiat quotes with editorial comments by Allan R. Wallace, Rector of Bastiat Free University. "That which is seen, and that which is not seen". History of "Claude Frederic Bastiat"
This page was last modified on 24 February 2017, at 22:09.